Students in the intermediate years are interested in the natural world, in how things are put together, and in how things work. This is a time when their intellectual capabilities expand greatly as they move from a focus on the here-and-now toward abstract thinking. • What do forest organisms need to survive? • How are forests and their inhabitants adapted to the Oregon climate and landscape? 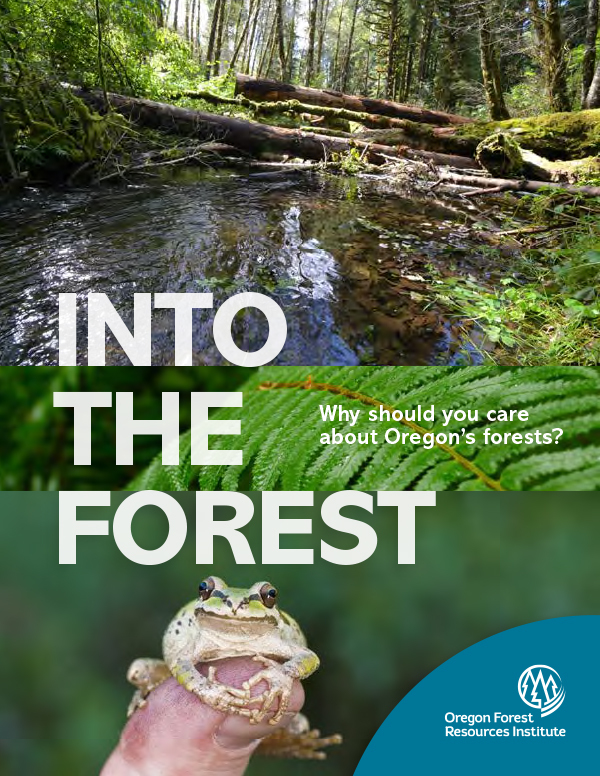 • In what ways are forests important to Oregon’s environment, economy and people? Using trees and forests as the focus, students can practice posing questions for investigations, reasoning about the conclusions and implications, and managing multiple variables. Engaging students in a variety of activities will deepen their understanding of the forest ecosystem on which we all depend. Into the Forest is a 24-page, full-color publication especially for fifth- and sixth-grade students. It provides a grade-appropriate overview of Oregon forests, including forest ecology, tree biology, forest management and forest careers. It explores how we as a society need to balance economic, ecological and social values. Illustrations, puzzles and activities engage student interest. A companion teacher’s guide includes additional activities, lesson plans and background information to help teachers go deeper into the material included in the student publication. Created with the help of a team of outdoor education specialists, the guide includes a list of additional resources and is aligned with state educational standards.